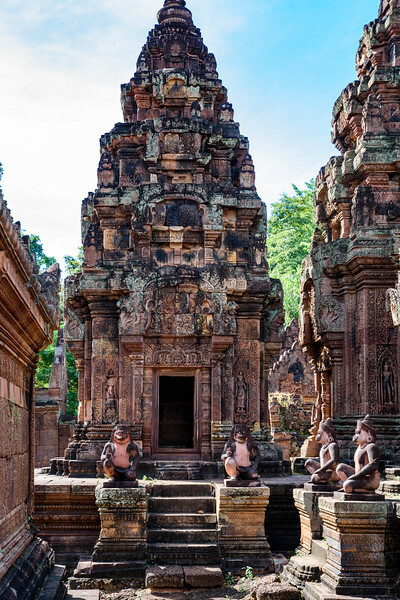 While most of our trip was spent in Thailand, the true highlight of the journey was our five night stay in Cambodia. 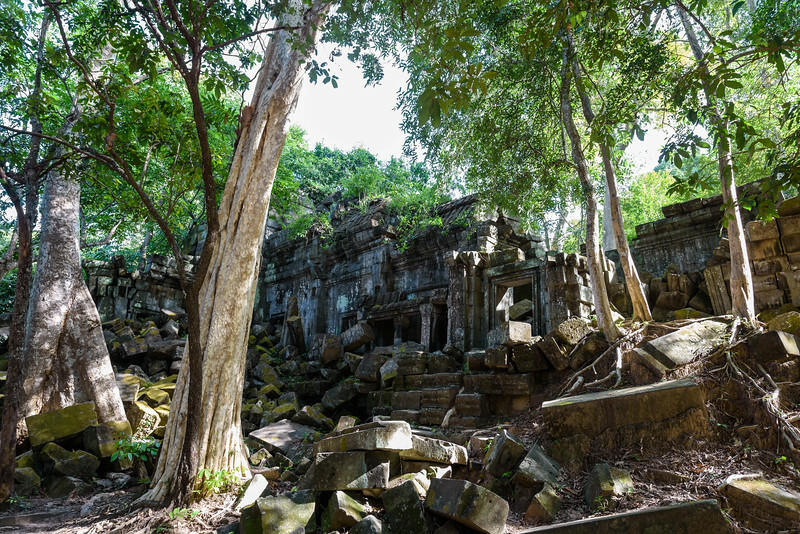 We made our base in Siem Reap, home to Angkor Wat, arguably the reason most international visitors come to Cambodia. 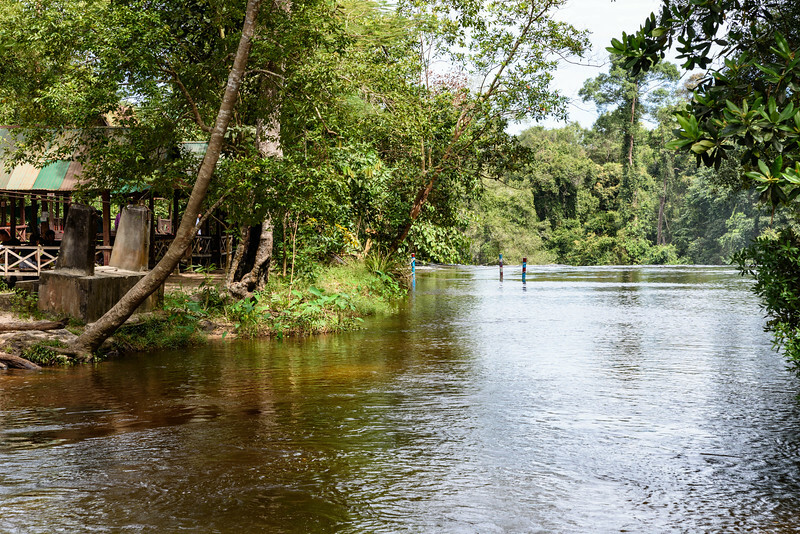 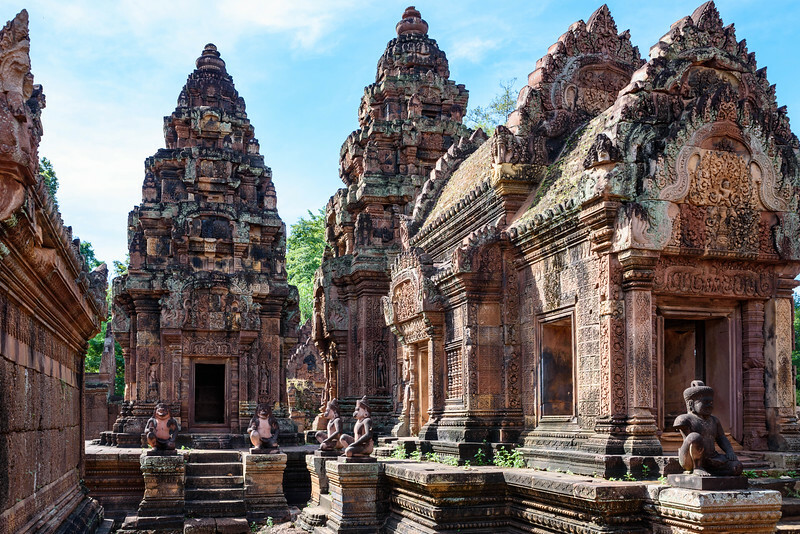 However, Cambodia – and even Siem Reap and its nearby sites – is so much more than just Angkor Wat. 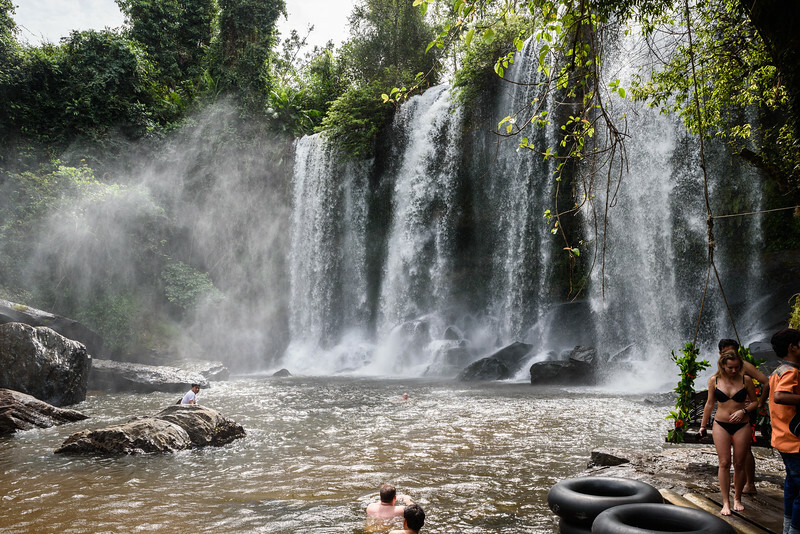 From the moment our incredible guide, Sopheara Pheav, met us at the airport, it was impossible to not fall in love with this beautiful country. 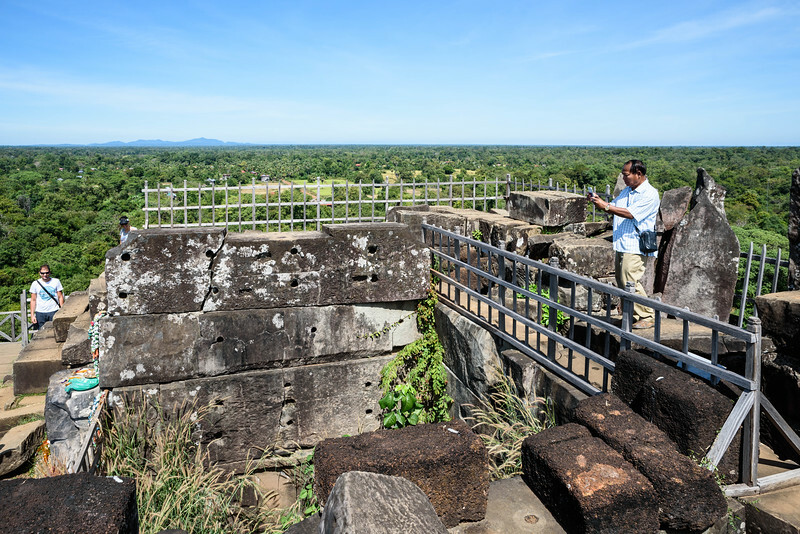 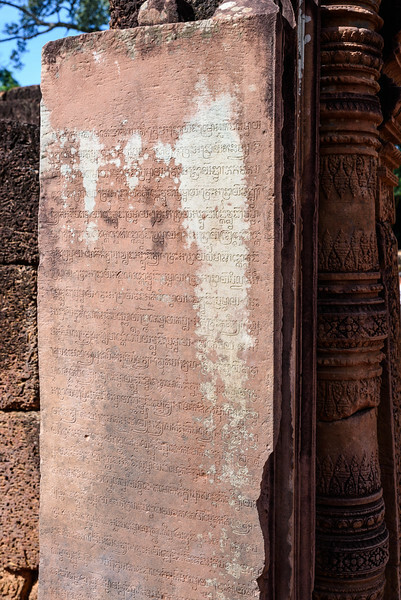 Sopheara guided us to many of the historical sites in this region of his country, making the ruins come alive with his stories of the Khmer Empire at its height. 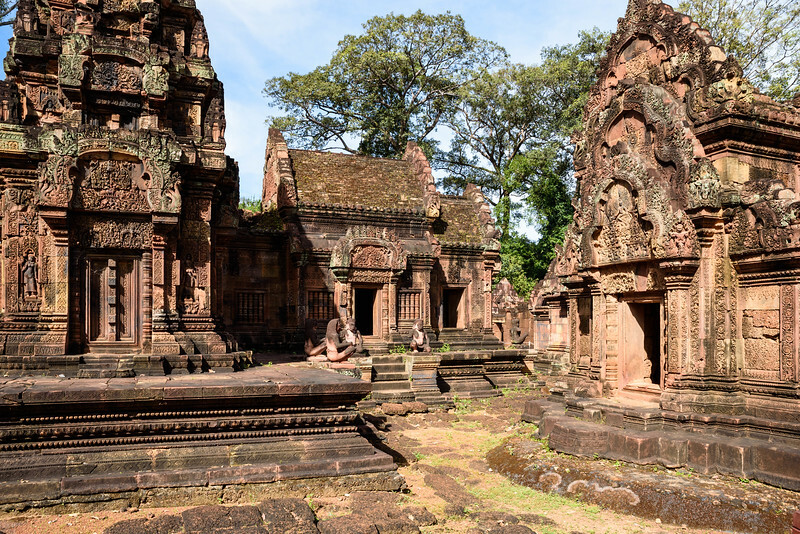 In addition to the archaeological sites, we also visited a floating village on Tonlé Sap, a large freshwater lake, Kulen Mountain National Park, dined on amazing local cuisine, and were entertained in the evenings at a fun drag bar in Siem Reap, where we hung out with locals and other tourists from around the world. 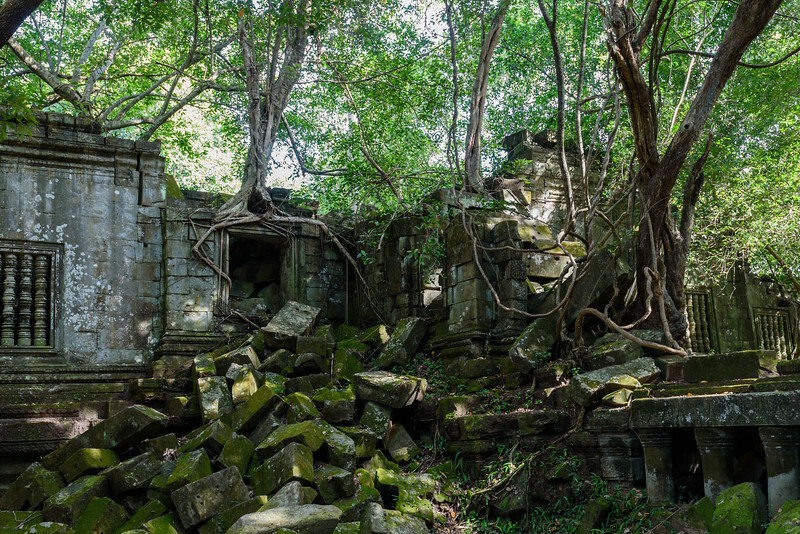 Of all the places we visited on this trip, Cambodia stood out, and it was tough to leave. 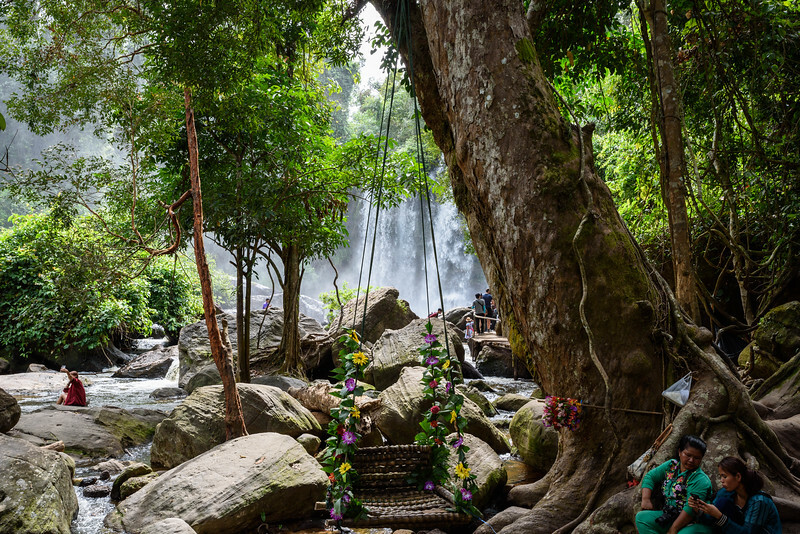 It’s not that Thailand wasn’t amazing - it was. 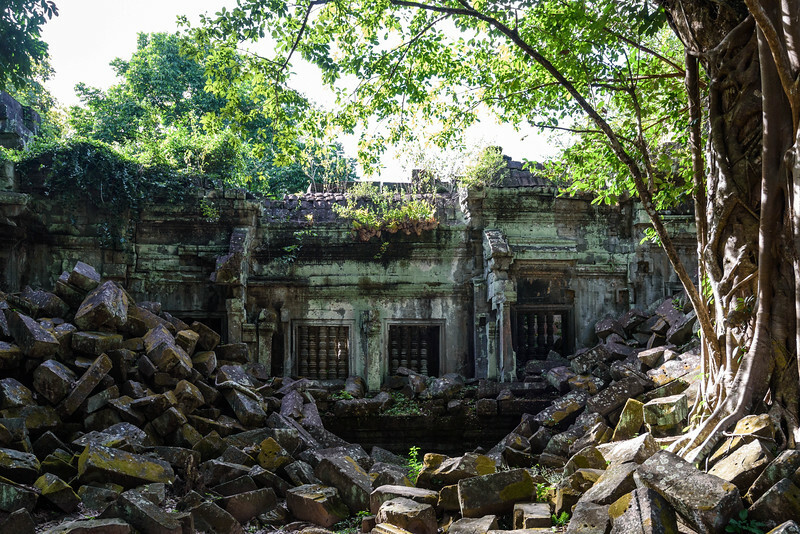 But, our days in Siem Reap were just even more so. 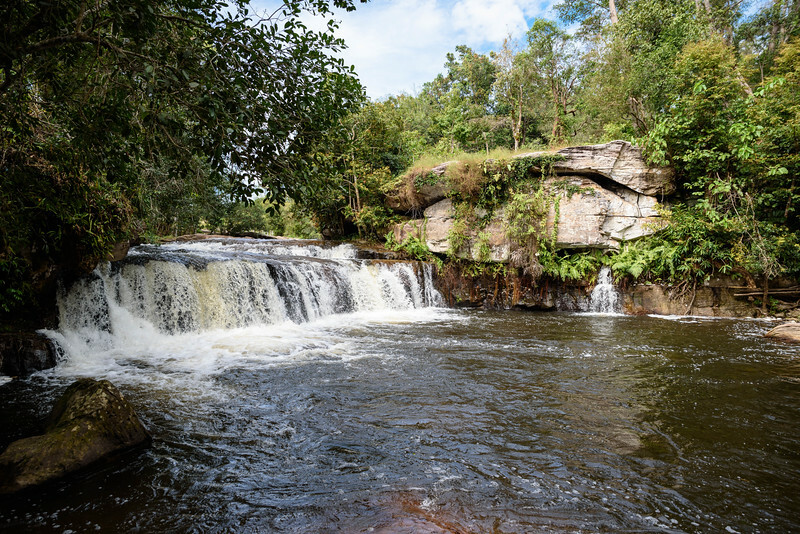 A beautiful small waterfall our guide took us to, near Phnom Kulen Pagoda. 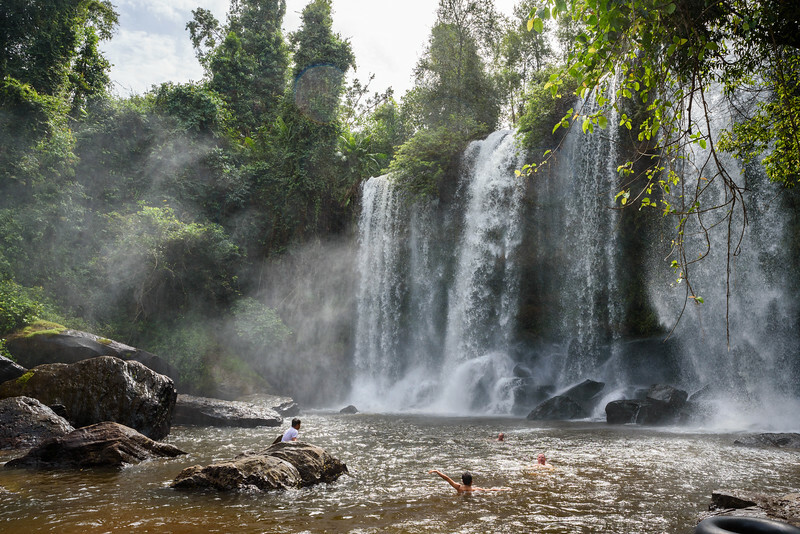 This waterfall was a bit off the beaten path - and we were the only people in the area. 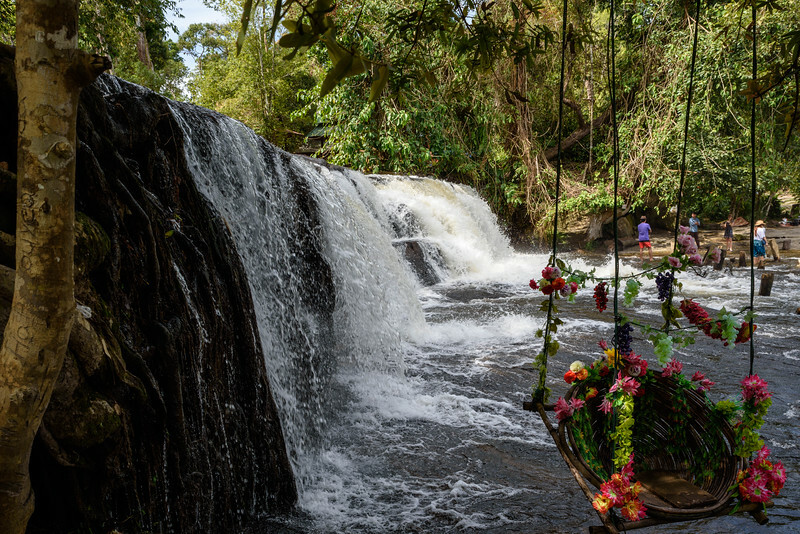 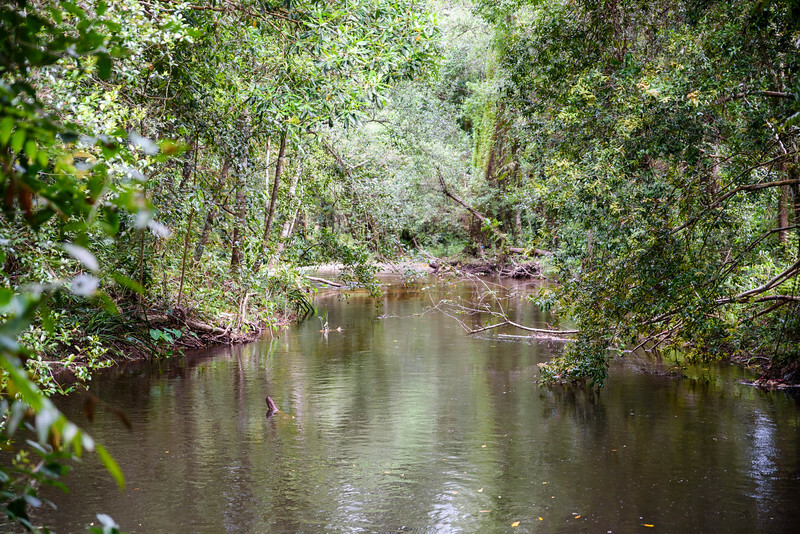 After a short walk along the river, we emerged into a park located near the large waterfalls on Kulen Mountain. 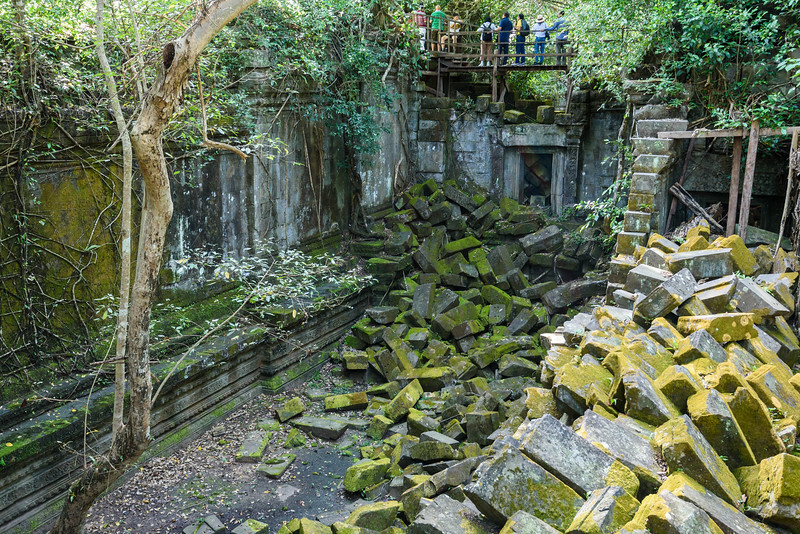 Ruins of the Kraol Romeas Temple, at the top of the waterfall. 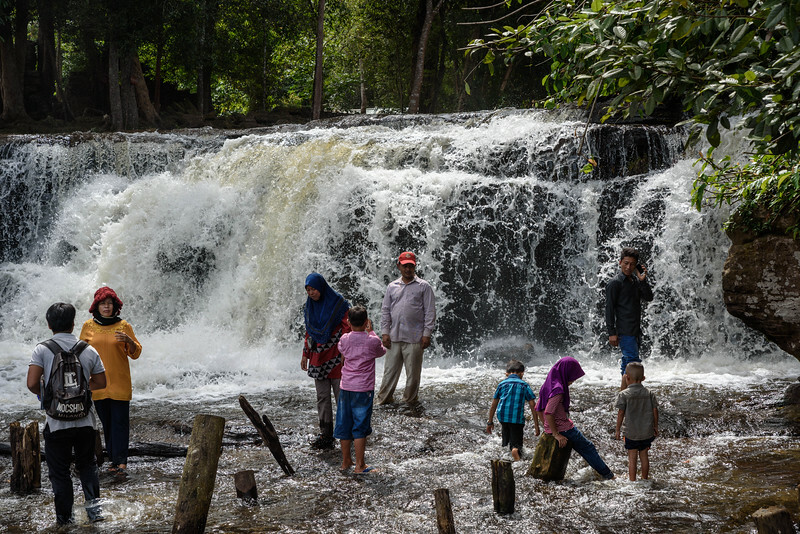 The top of the waterfall, between its second and third stages. 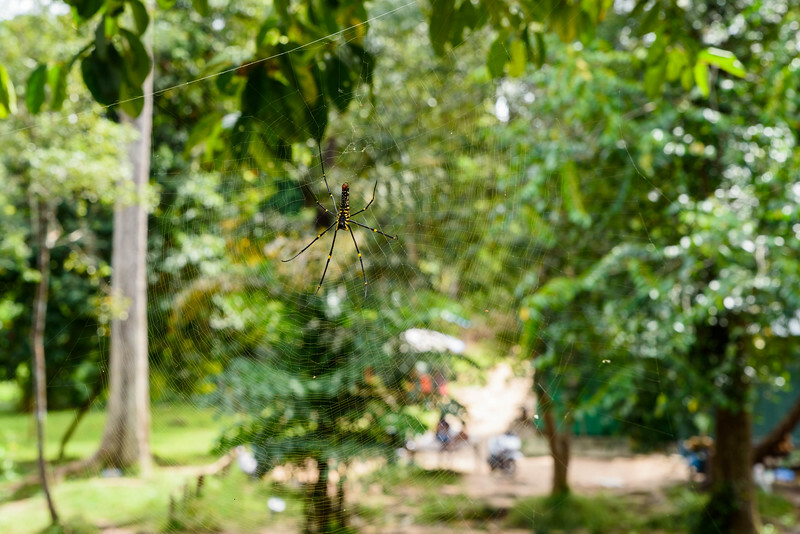 A large spider we found in the park. 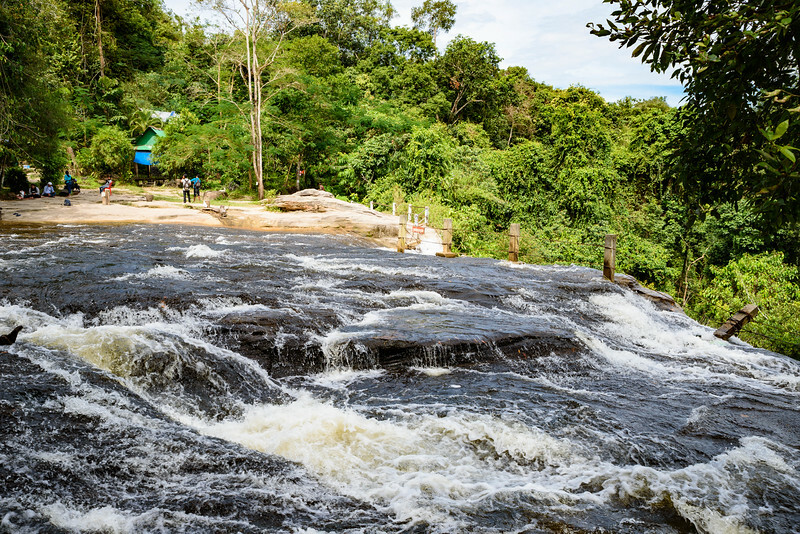 Approaching the largest part of the Kulen waterfall, from below. 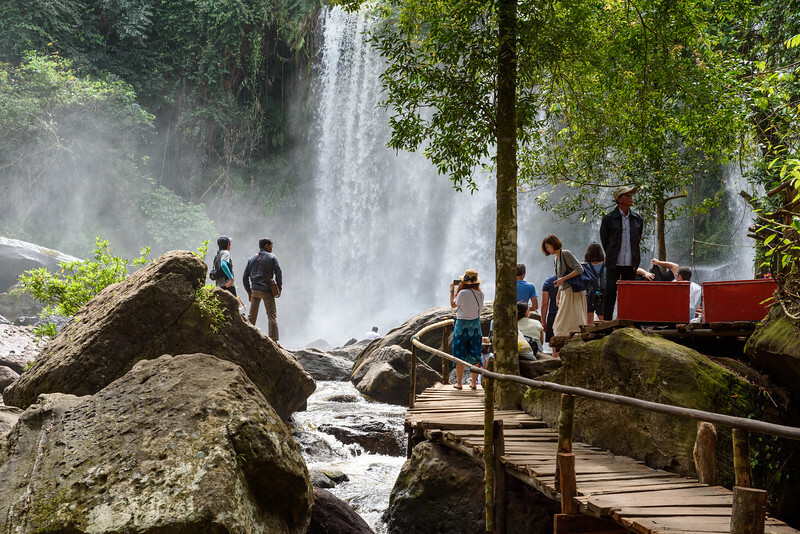 The base of the waterfall is accessible from a set of stairs that lead down the hillside. 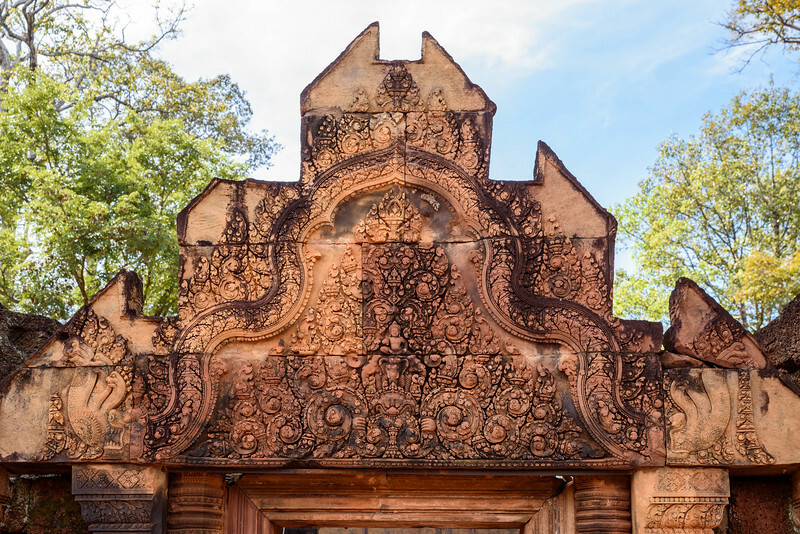 Banteay Srei is a small 10th century Hindu temple, located between Siem Reap and Kulen Mountain. 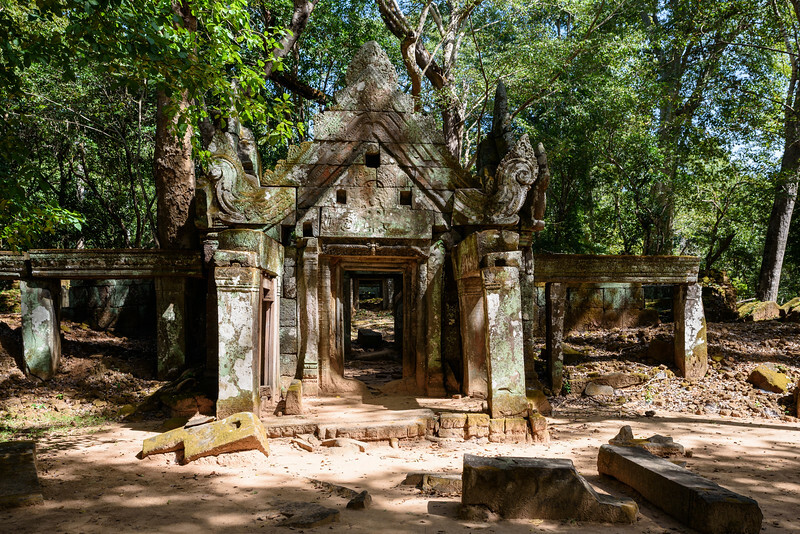 Koh Ker is a remote archaelogical site about 120 km (75 miles) from Siem Reap and Angkor. 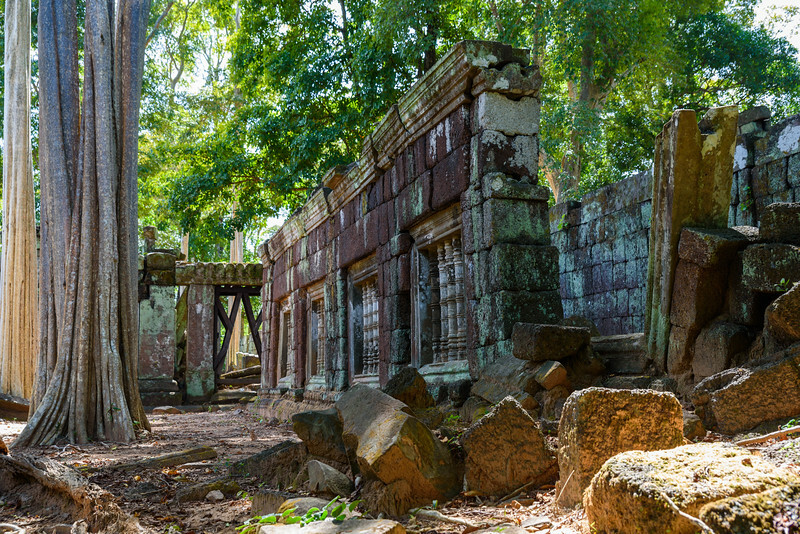 Koh Ker was founded by Jayavarman IV in 921 AD, so it predates Angkor. 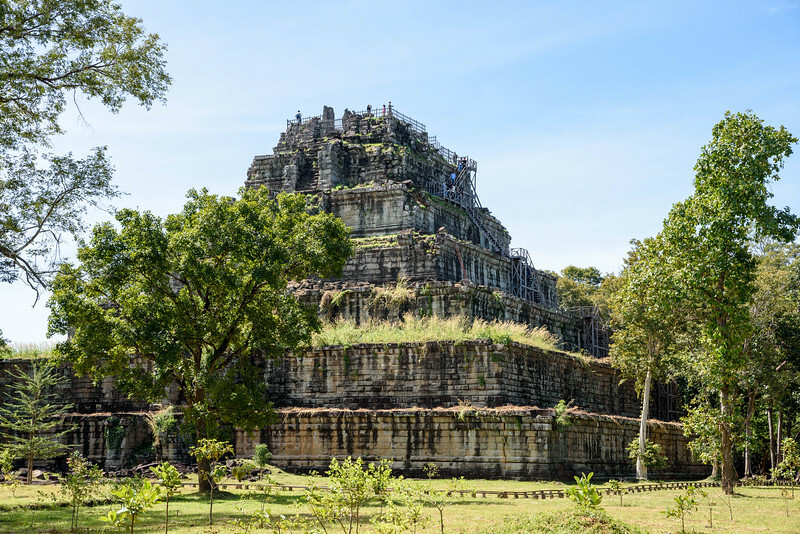 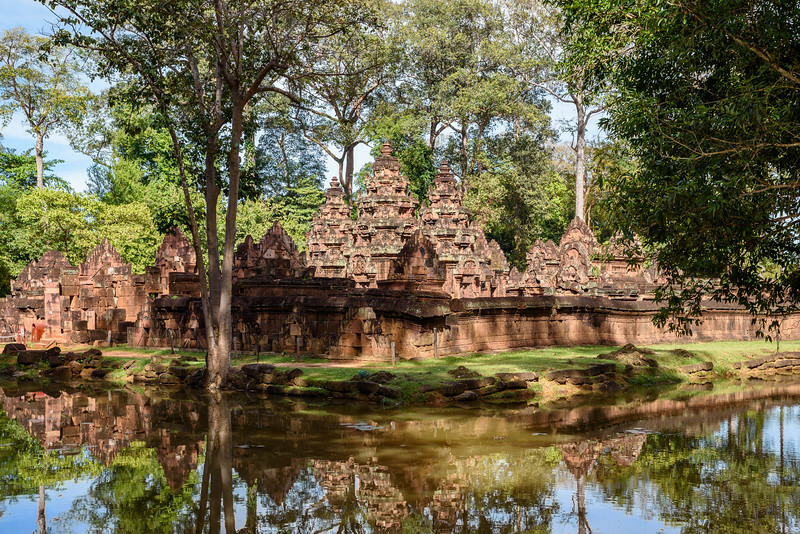 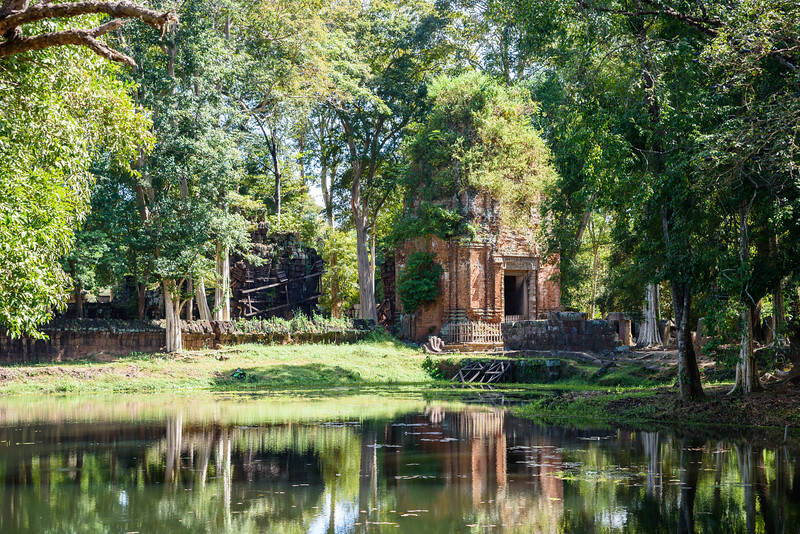 Its largest temple is Prasat Thom, which includes Prang, a seven-tiered pyarmid. 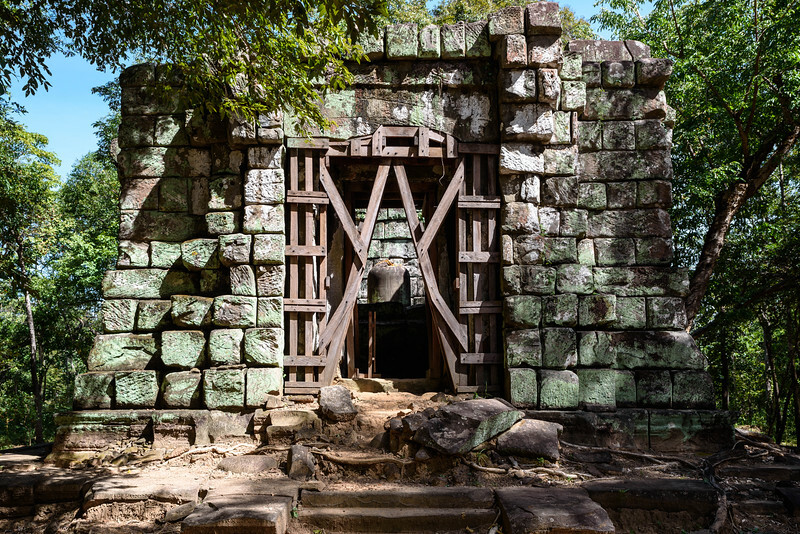 Prang has been compared to many of the Mayan pyramids in Mexico. 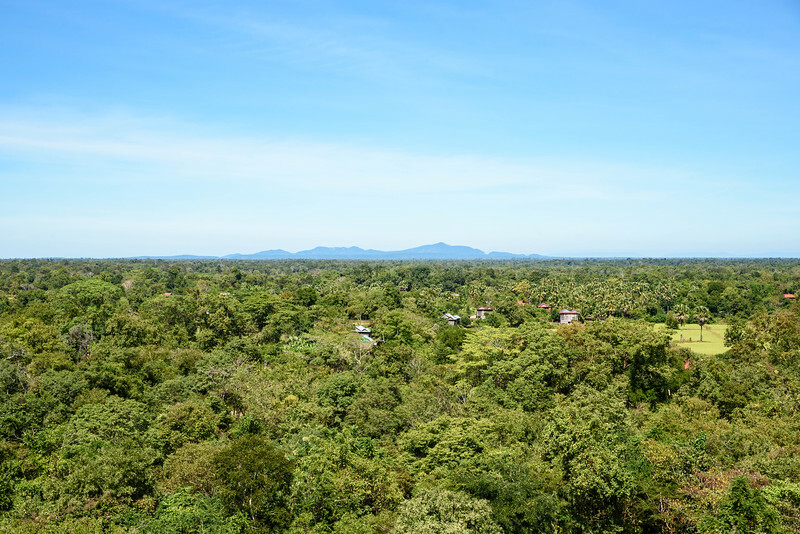 A view from the top of the pyramid. 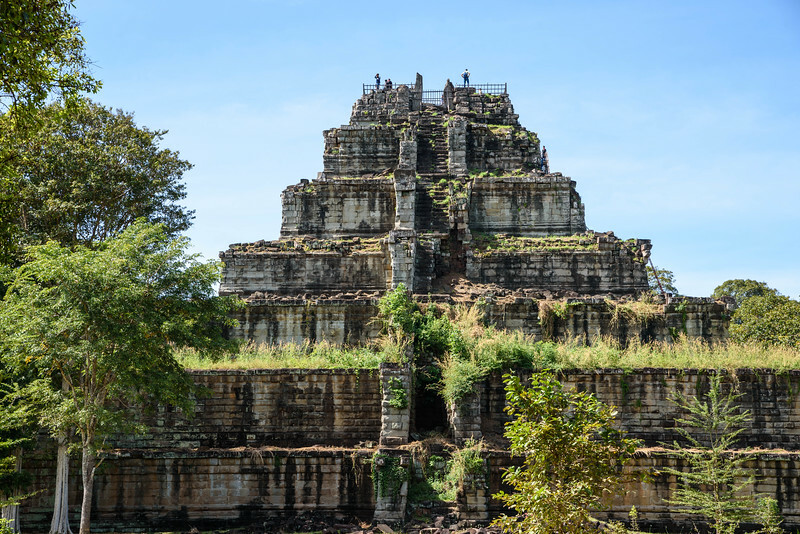 On top of Prang, the pyramid at Prasat Thom in Koh Ker. 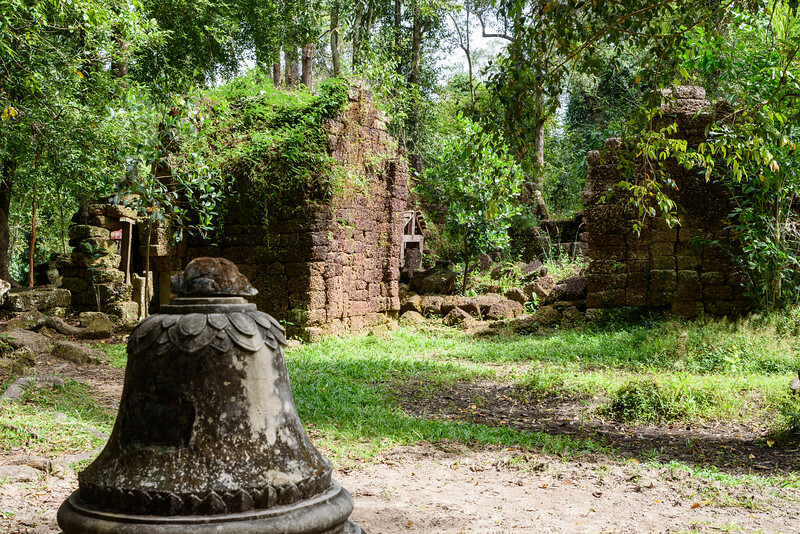 Prasat Balang, a linga shrine in Koh Ker. 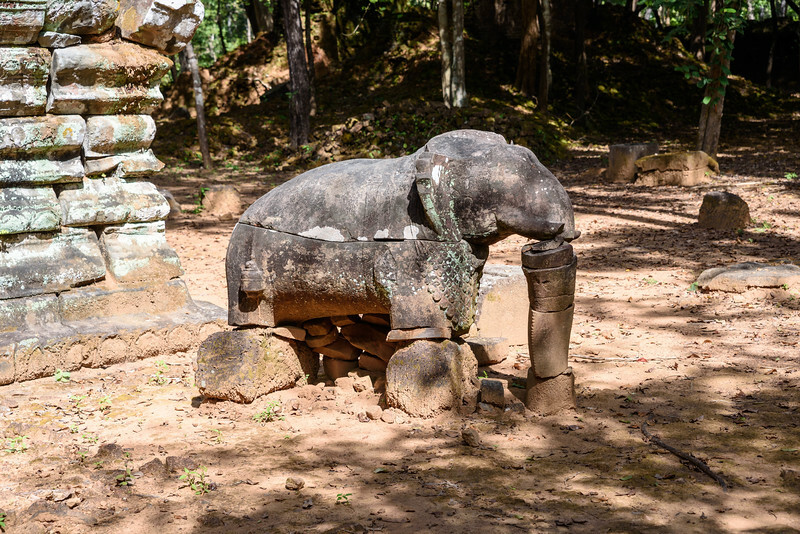 Elephant statue at Prasat Damrei Kandoeng. 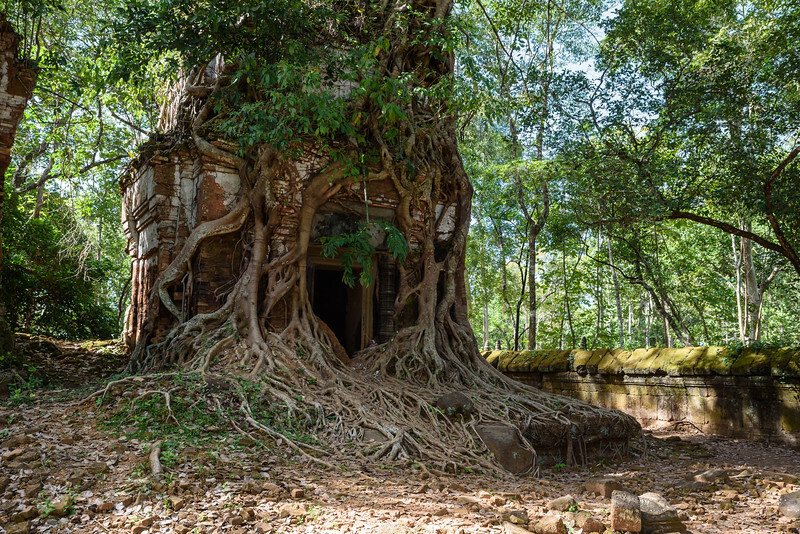 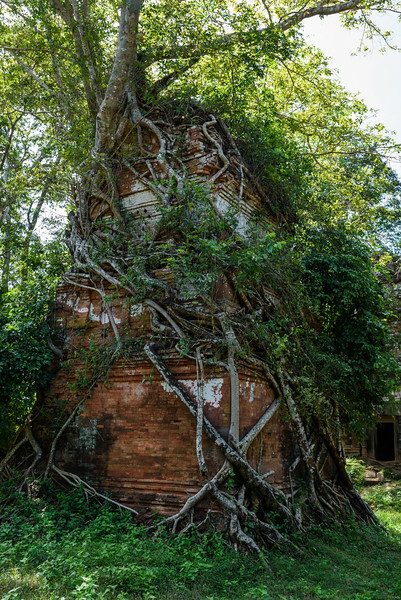 Tree covered ruins of Prasat Pram at Koh Ker. 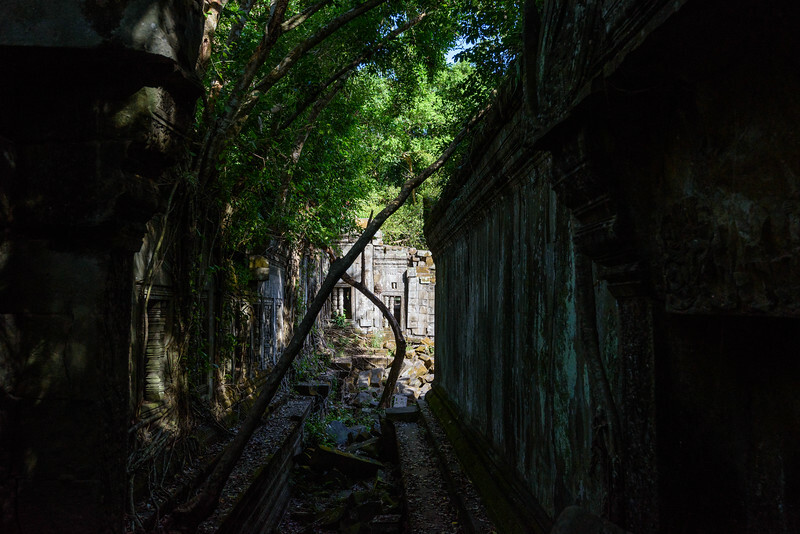 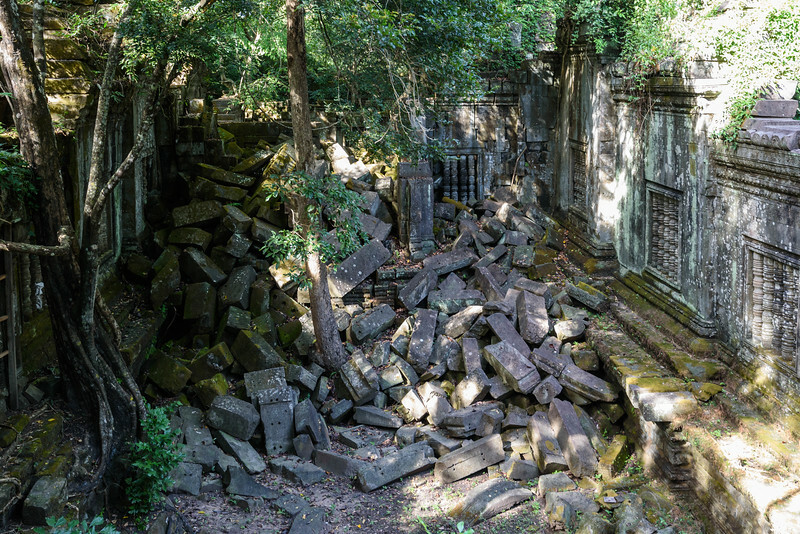 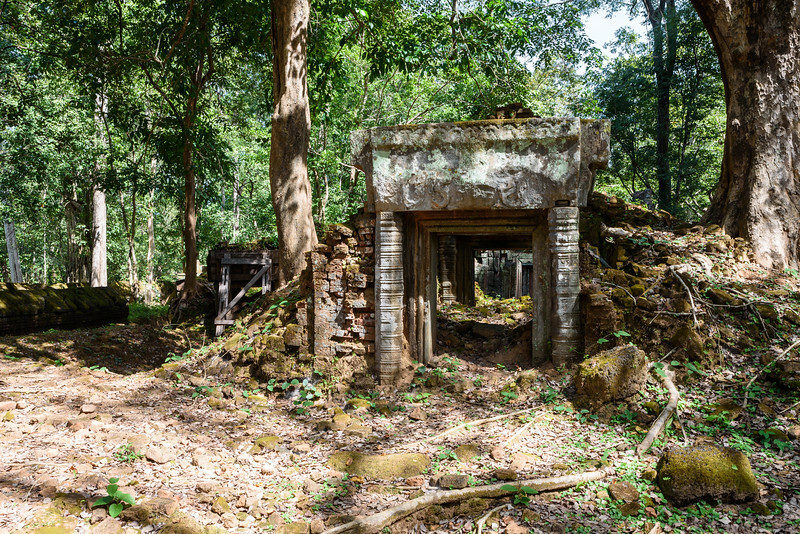 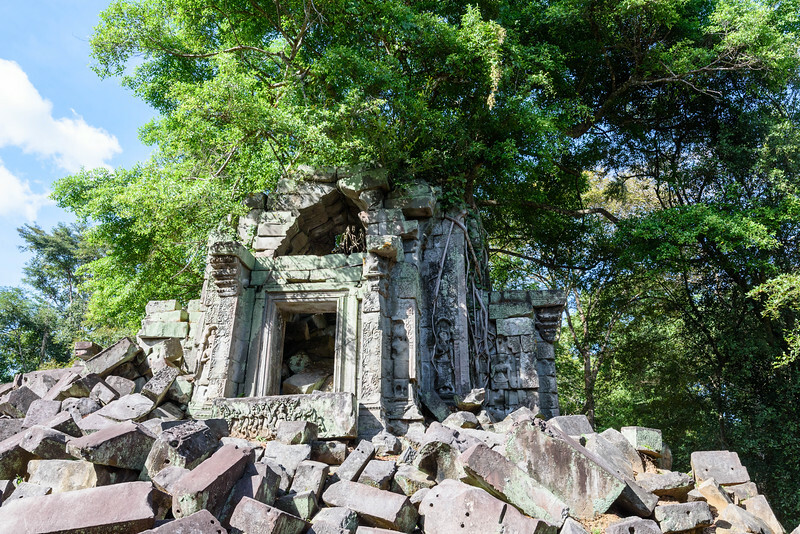 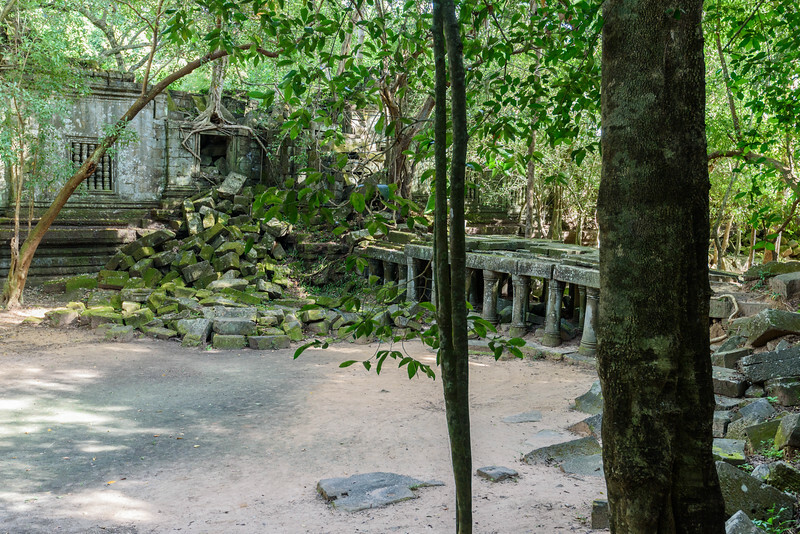 Beng Mealea, a Hindu temple to Vishnu, was built in the early 12th century AD by Suryavarman II.